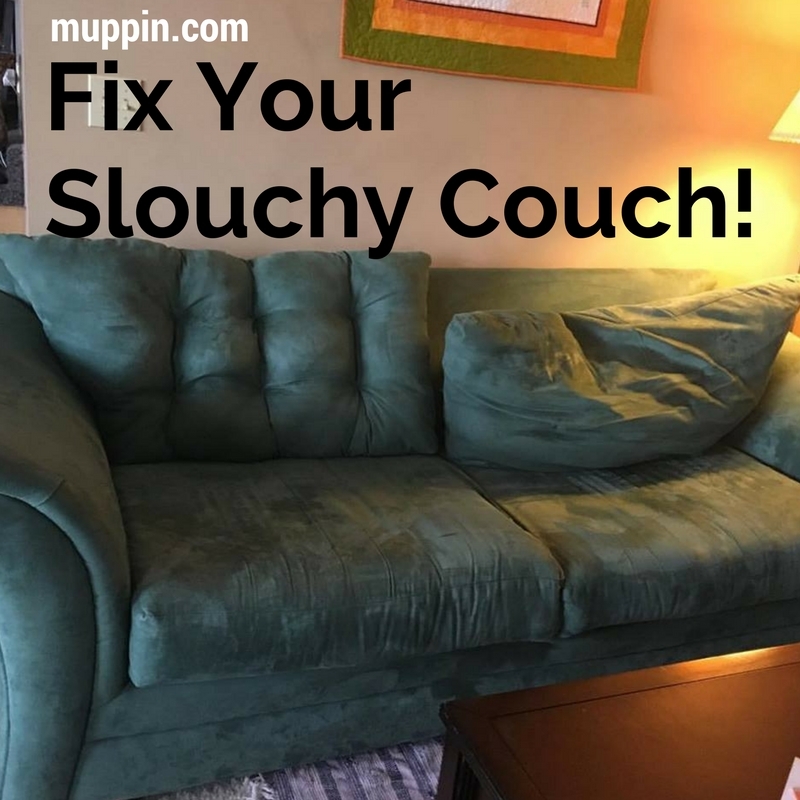 Slouchy Couch Makeover! – Cheryl Sleboda – Textiles. Technology. Texture. Teacher. I like my couch, but I hate, hate, hate the back cushions. They were so floppy, and sitting there for any amount of time meant refluffing the back cushion so that it wasn’t basically pushing you onto the floor. 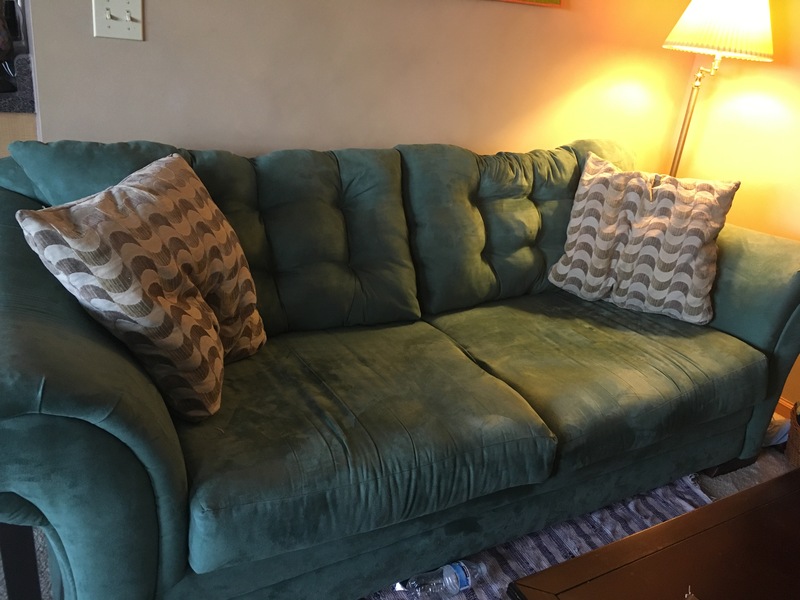 The couch used to have more structure, and while I could restuff the pillows, I knew it was just a matter of months before the pillows would be droopy again. 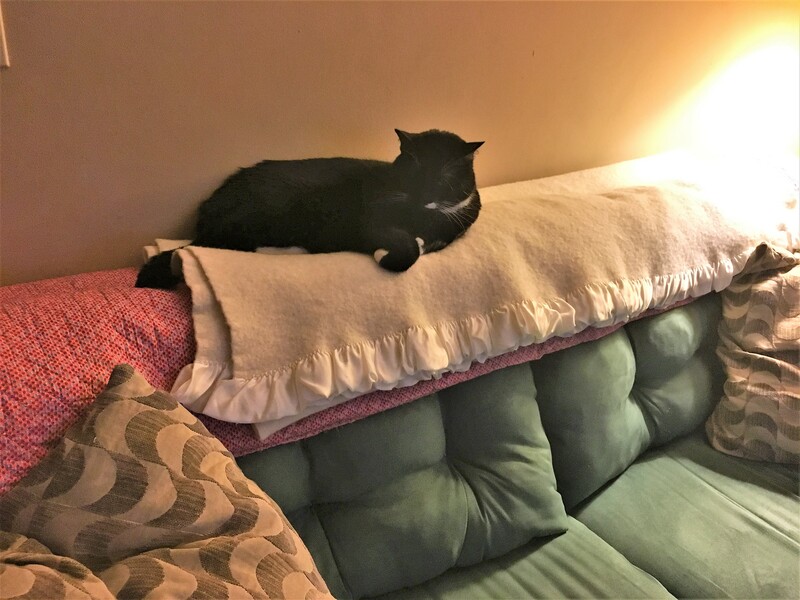 My cat loves to lay across the droopy part, so even though I fluff up the couch each day, by the end of the day it looked like a terrible mess. I had considered tufting the pillows with buttons, but in the end, my desperation came to fix the cushions with only cotton crochet thread and a giant embroidery needle. Want to know how? It’s easy, and here are the steps. 1. Pull all the stuffing out of your cushion. It will be a mess. 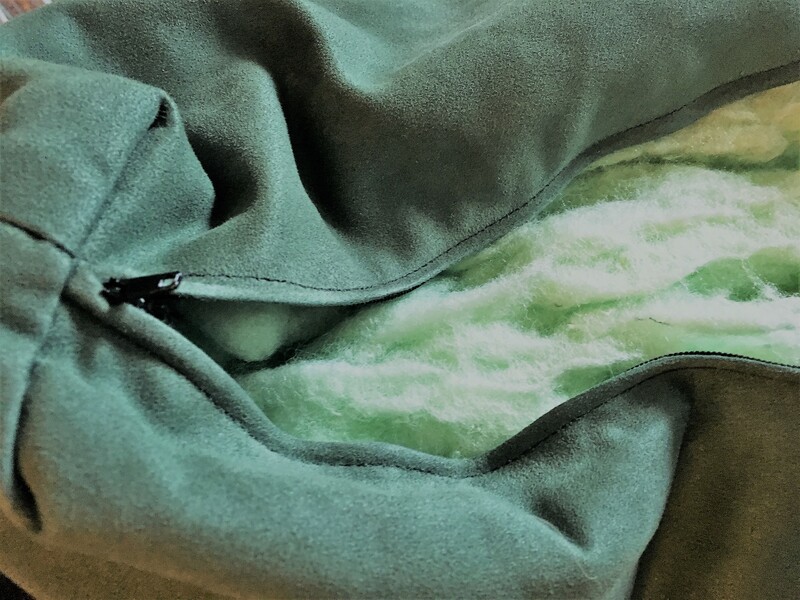 I put each cushion stuffing into a separate garbage bag to keep the wispy cushion guts from getting all over everything else. You will need this later and you want each cushion to get the same stuffing back in it. 2. Mark lightly with chalk (Or here I used snippets of thread) to mark where you want your tufts. I tried to make them even across and down. I used 2 rows because I was afraid that only one row would just make a similar floppy pillow that would fold in half. The second row creates more structure. Mark all of your cushions at the same time, so you can check that they are even. 3. 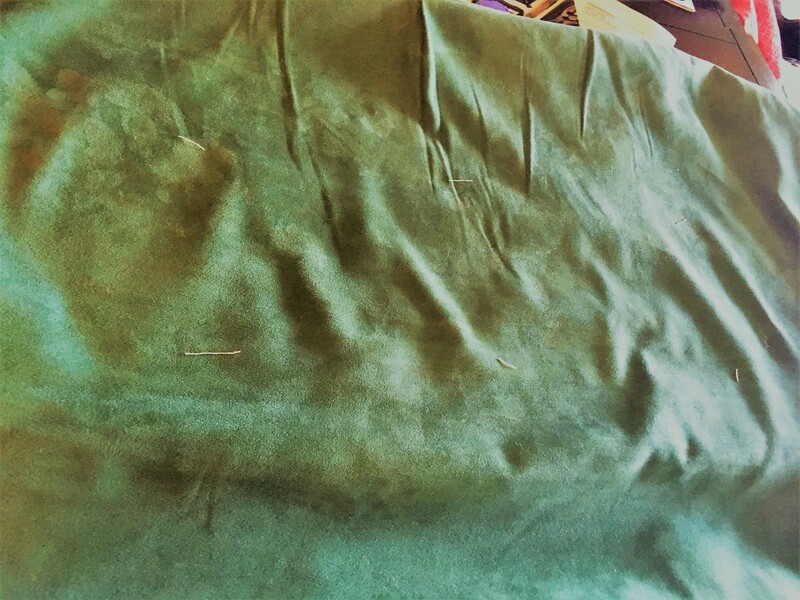 Working from the back of the cushion, I sewed so that I made an X shape on the front. My stitches are about 3/4 inch long, and I used a double length. Once I had the X on the front I tied a big and strong knot on the back and snipped the threads. 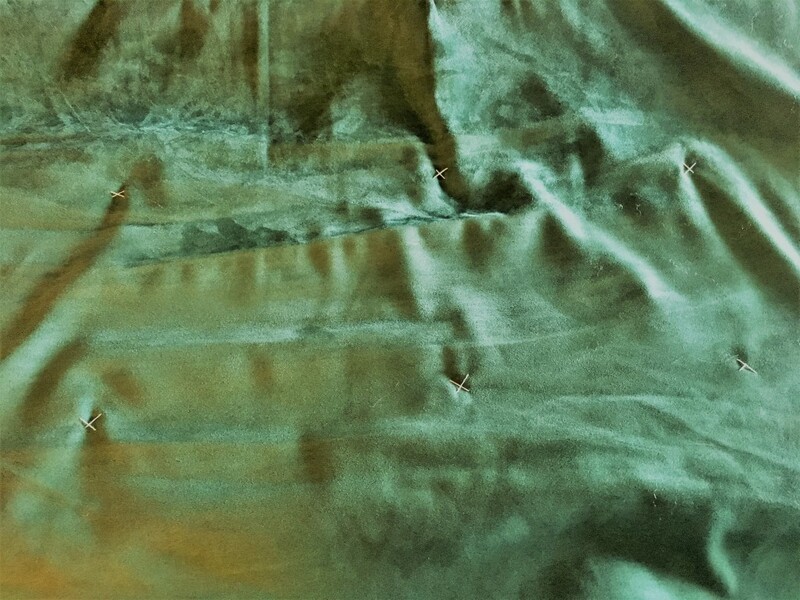 If you wanted to, at this point you could sew on a button to cover your threads on the front and back. The crochet thread is doing the hard work of keeping the pillow shape, so your buttons should not pop off. 4. 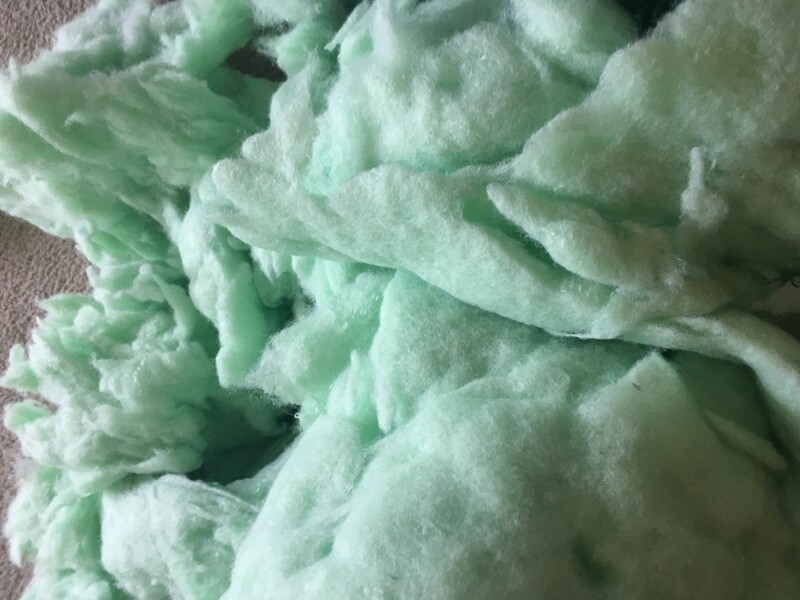 Now the hard part comes in putting ALL of the stuffing back into the pillow. If your stuffing is as lumpy as mine from being matted down, then take time to pull it apart before restuffing. You want to push it into the crevices and between the tufts. 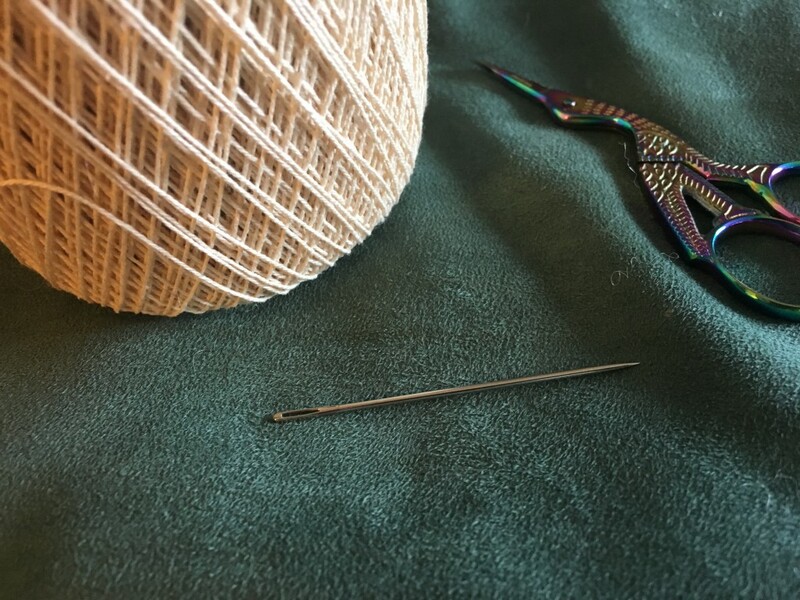 Be gentle, if your fabric is weak from age or your crochet thread not tied strong enough, you can pop those stitches or rip your fabric from overzealous stuffing. 5. Enjoy your new cushions! The boss, who always mashed down my couch cushions, approves!